Colombia’s Ombudsman’s Office rang the alarm over a 14% increase in child deaths due to starvation or related illnesses last week, but the report has largely been ignored by authorities. According to the government’s human rights office, 162 children under five died of starvation and associated causes of death between January 1 and September 8 this year. Twenty-one more children died this year compared to the same period in 2017, despite of former Family Welfare director Karen Abudinen’s promise to increase government action to prevent preventable child deaths due to hunger exactly a year ago. More than 160 dead children later, Abudinen left office quietly in August when President Ivan Duque took over power from his predecessor, Juan Manuel Santos. Child mortality is most prevalent in the north of Colombia, particularly in the province of La Guajira, where national soft drink giant Postobon allegedly used children suffering food and water shortages as lab rats to test a new drink. Did Colombia’s largest soft drink company use vulnerable children as lab rats? The department has been battered by corruption and the infiltration of regional mafias in government. Two former La Guajira governors are in prison, one because she was embezzling money meant to feed children. In 2015, the Ombudsman’s Office warned that the rampant corruption was causing a humanitarian crisis in the country’s most northern province. But even in the capital Bogota, which has a significantly lower poverty rate and better access to health facilities compared to the rest of the country, the administration of Mayor Enrique Peñalosa failed to prevent the starvation of three children. The national government has been trying to curb child hunger through school food program PAE for more than 80 years, but chronic corruption and mismanagement have made this program virtually non-existent in many schools. Newspaper El Tiempo reported last year that regional governments were unable to explain where $175 million meant for the PAE had disappeared to. 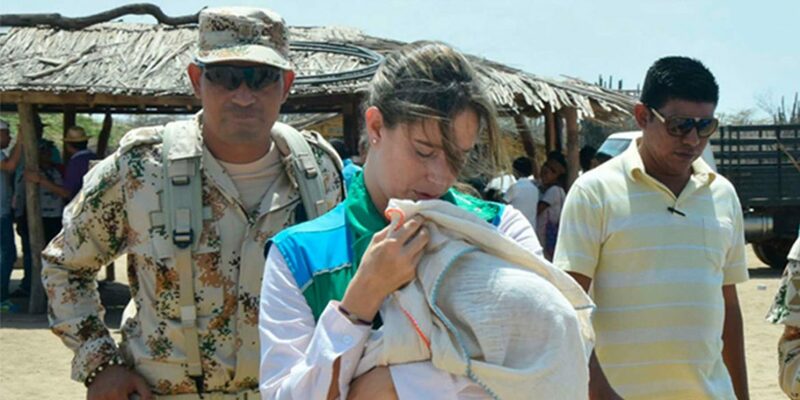 Furthermore, the massive influx of Venezuelans who are fleeing a humanitarian crisis in their home country is adding to the Colombian authority’s failure to prevent child hunger. In a February report, the National Health Institute said that six of the 37 child deaths they had registered until then were children of Venezuelan refugees who were unable to timely seek medical aid and save their children’s lives. The national government did not respond to the latest Ombudsman report.